To configure the form settings for the Create Absence Request eForm, do the procedure in this topic. 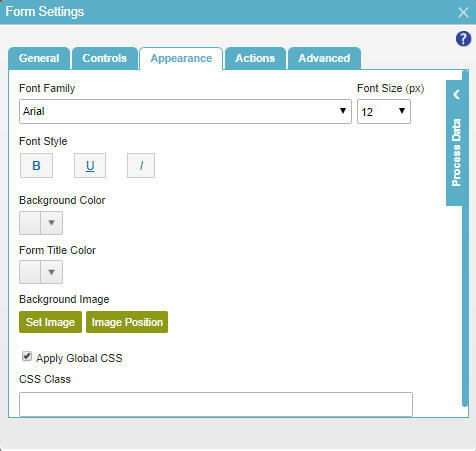 On the Form Settings screen, click Appearance tab. 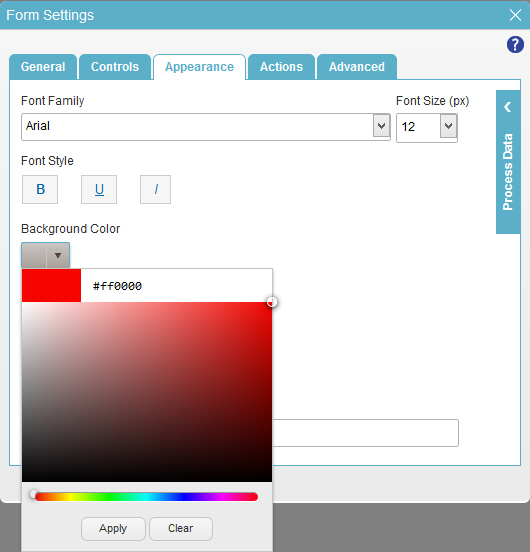 Click the Background Color list. 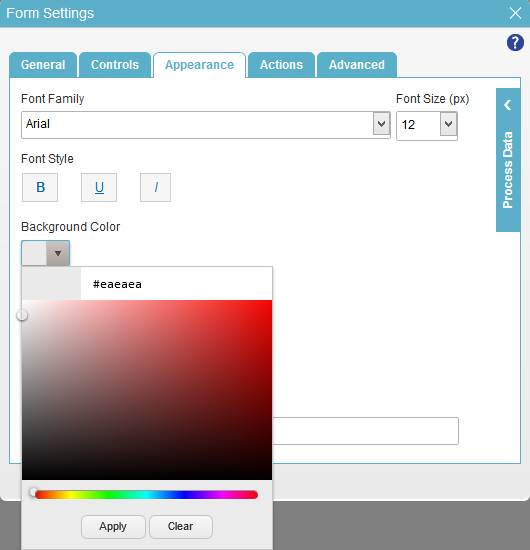 In the Background Color palette, enter the hex code #eaeaea. On the Advanced tab, in the Cell Padding (px) field, enter 5. 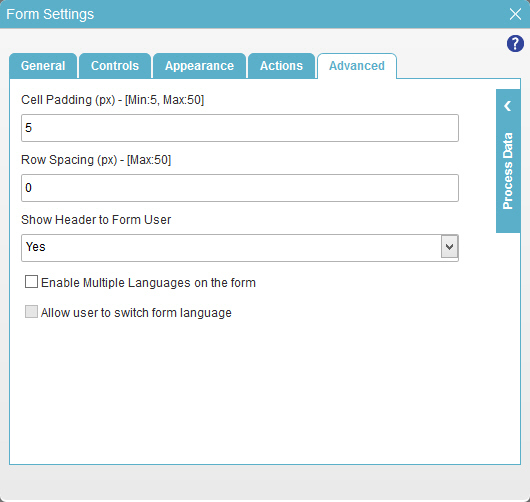 The eForm Builder shows your new eForm, Create Absence Request.